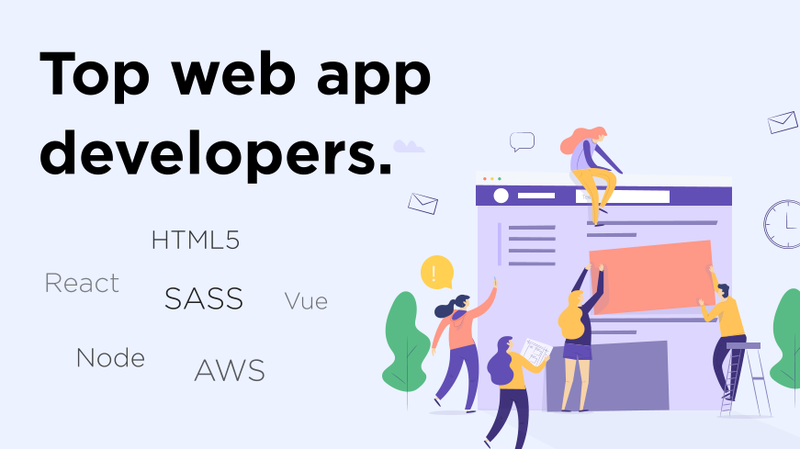 We cover the top web app developers, agencies, and firms that can help you build a web application tailored to your needs. Web application development is certainly not easy, it’s a niche specialty that requires attention to detail and a vast knowledge in user experience and behavior. Whether you’re building the next big thing in SaaS (software as a service) or creating a super customized internal tool for your company, Hiring a web developer or an agency is a challenging task. 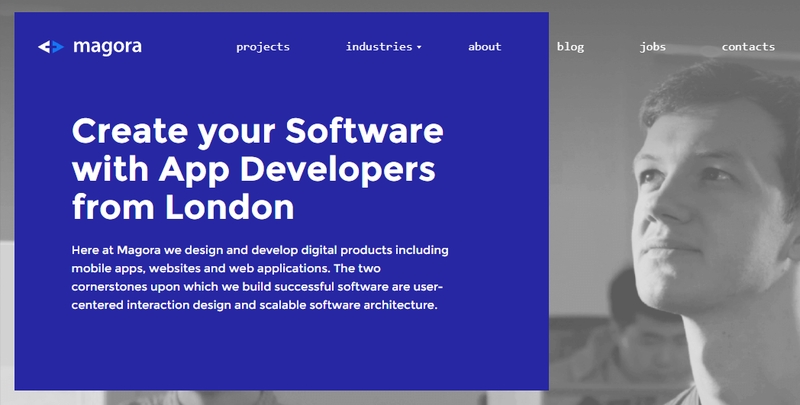 In this post, I’ve compiled a trusted list of the top 5 (really good) web app developers and agencies that can help you create an incredible product. Pitch: Ryan is a maker, developer, and UI designer working remotely with companies to solve big problems through exceptional web apps that connect with people. ryan is also an entrepreneur at night, with a passion for SaaS he creates products that solve real problems. Specialty: Web app development & User interface design, React/ Vue/ Angular JS, Node JS/ AWS architecture. 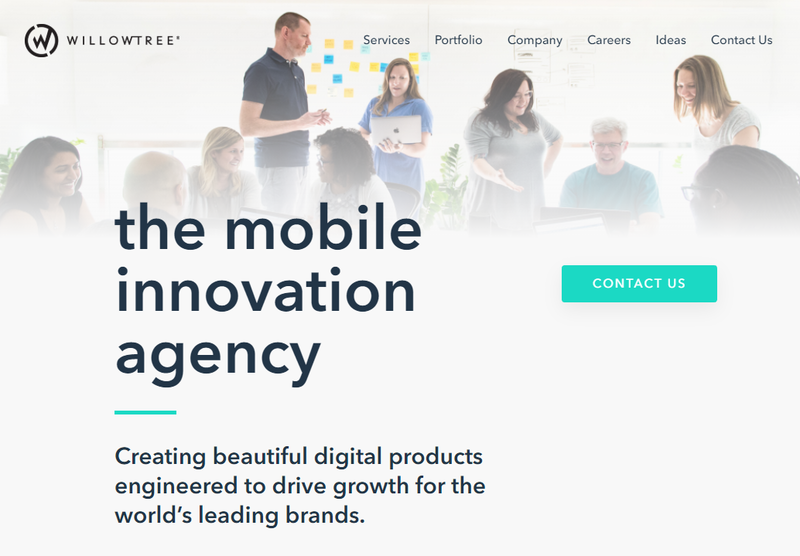 Pitch: We Leverage Cutting Edge Technology to Promote Rapid Growth We are a team of product designers & developers with a diverse skillset and vast experience across several industries. 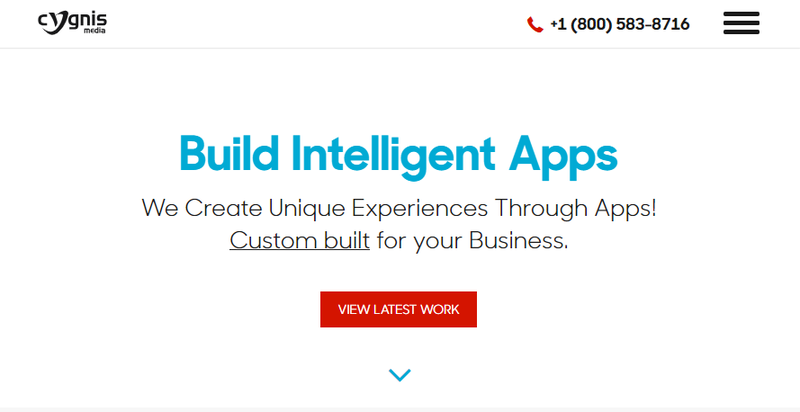 Specialty: Web app development, UI / UX design, iOS and android app development. Specialty: Web application development, User interface design, mobile apps. Bonus Slide: The lifecycle of web application development. 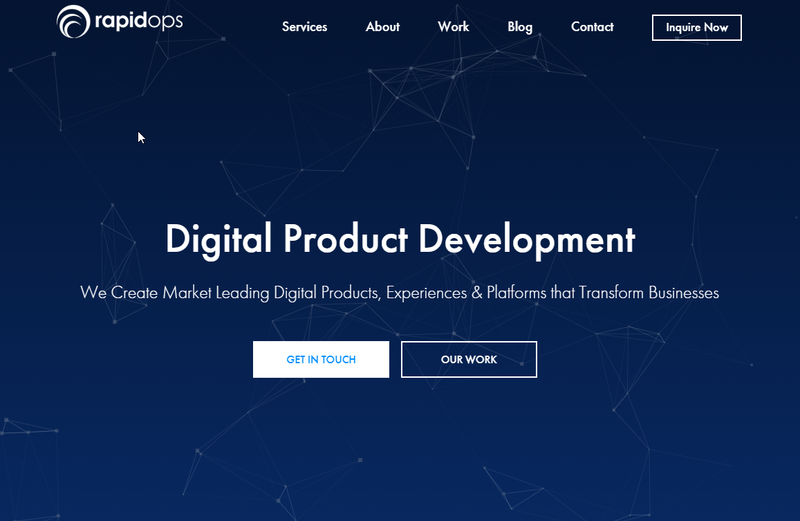 Pitch: At RapidOps Solutions, we build Digital Products, Experiences and Platforms that provide real world solutions, engage users and scale on-demand. By partnering with purpose-led startups and enterprises, we aim to transform markets with disruptive technology innovations. Our passionate team of designers, developers and creators have fantastic skills and experience in building high performing data analytics tools, API platforms, scalable web solutions and engaging mobile applications using progressive technologies like Grails, MEAN, Cloud and AWS. With creative application of technology, design and business finesse. Pitch: Our elite teams build apps, responsive websites, bots — any digital product that interacts with users — for the world’s leading companies. We cultivate expertise in every stage of product creation, resulting in extraordinary digital experiences. We have put together an industry-leading team of designers and developers, web application developers and mobile optimization experts. A different approach to hiring & choosing a web app developer. 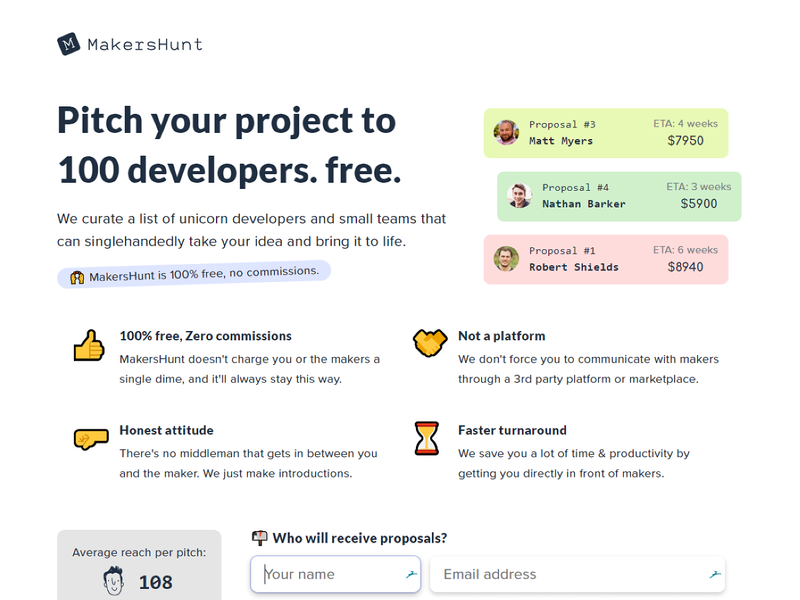 MakersHunt takes your project description and sends it out to 100 top web developers, designers, and “makers”. you then start to receive direct proposals and bids. MakersHunt describes itself as “not a platform”. 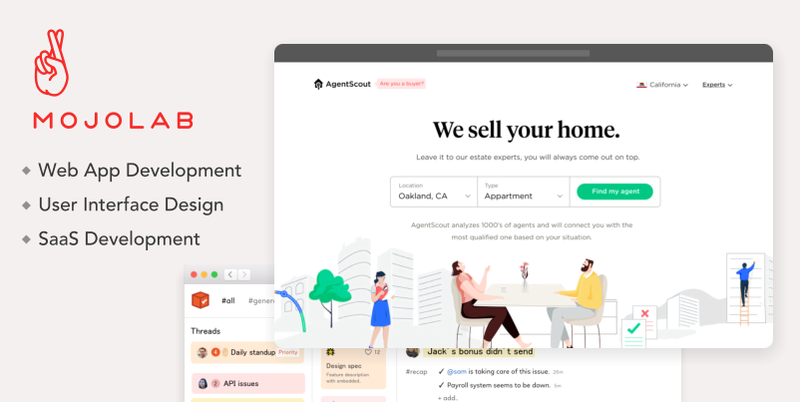 It’s dubbed as a free, highly curated list of SaaS makers that you can send your project to and work directly with. It really depends. a web app can cost from $10k to $100k and even beyond for certain large scale and enterprise applications. Most web developers & agencies will give you a rough estimate upfront, even if they charge an hourly fee. but you will need to have a clear idea of what you want, how that thing works, and what it can’t do. Communication is key. so make sure you take some time to write down all of your ideas and thoughts on a google doc that would be helpful to the vendor. How long does it take to build a web application? Again, it varies from vendor to vendor. a small web app could take maybe a month, but a larger one could extend to 3, 6 months or even a year in a certain cases. How much upfront do you pay to a web developer? Most web development firms ask for a 50% deposit and the rest you pay when the project’s completed. However some developers may ask for less or more percentage. What tech stack should we go with? Get your advice from the developers. what you think is best might not really be the best option for what you want to build. Vendors usually consider a variety of factors when choosing a programming language or a database, such as scalability, flexibility, and cost management. Maybe you’re building a massive scale application - your web developer might suggest a NoSQL database like Cassandra and a highly concurrent language like Node JS instead of a Rails app and MySQL database that might not scale as quickly. Benefits of web application development. Web applications are becoming very popular as more companies develop them. Twitter has had great results after they launched Twitter lite they claimed to have seen a 50% increase in tweets. You can use web apps on various platforms without worrying about OS or device compatibility as long as you’re not using a very outdated system. Eliminate IT security processes. Users can run your web app on any browser with no extra privileges. Reduce cost and burden on your support and maintenance team by removing potential tech issues that come out of legacy desktop software. Web apps utilize more features than websites do, web apps can access features on your device such as the camera, gyroscope, and push notifications. This leads to a more native app experience, but with all the benefits of the web like speed and accessibility. Web apps will likely never need to be updated by the user, unlike native apps because it is essentially just a link to the web app version of your website. Web apps even take advantage of service workers to ensure the web app can work offline if no new data is needed for the work and upload it when the device goes back online. A user can choose to install a web app meaning that the web app gets added to the home screen for easy access, and the web app gets cached into the device storage for super fast load times even when data is limited. Designing a web app is no easy task. On mobile devices, a web app can look like a native application with easy to click buttons, smooth transitions, and readable text. On desktops and laptops, the web app should still look like a website with great navigation and desktop-specific features. Nobody wants to navigate a mobile app on a desktop it would be a lot of wasted screen space. Progressive web apps should load fast on slow networks and work even when offline. This means web apps must be very well optimized and have no “extra” code. Many websites are developed off of frameworks that speed up production but include code that is never used in the website increasing load times substantially. If developing a web app sounds like a task that your team cannot undertake right now there are many companies that can develop web apps for you. The challenge will be finding out exactly which custom software development company to choose. Experience. They need to have a decent and demonstrable experience in developing web applications for various industries. Portfolio. Previous work speaks louder than words, you can really tell if a company’s good by the problems they undertook and how they solved them for their clients. Technology. Be sure they are not working with super outdated technology that you’ll have a hard time acquiring talent to develop your project further. Nowadays most web apps use frameworks like React, Angular, or Vue JS to create a state of the art user experience. Ruby on Rails is a popular server side framework that makes some general choices for the developer like security should be ‘on’ by default, and code should never be repeated over and over. The Ruby on Rails framework is driven by security, it has protection from common attacks like CSRF, Script Injection, and SQL Injection built in. Ruby on Rails also develops the templates for testing code you are writing automatically making it very simple to ensure the code only does the intended functions. Publication specialized in web development trends & best practices.